"[The show is] an anthology sci-fi thriller with genre storytelling from an African American perspective. A man embarks on a road trip across 1950s Jim Crow America to find his missing father. 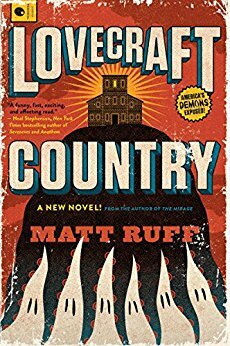 He runs into both racist terror of white America and malevolent spirits and monsters ripped from a Lovecraft paperback. Uh... maybe not. I can be a bit of a weenie.